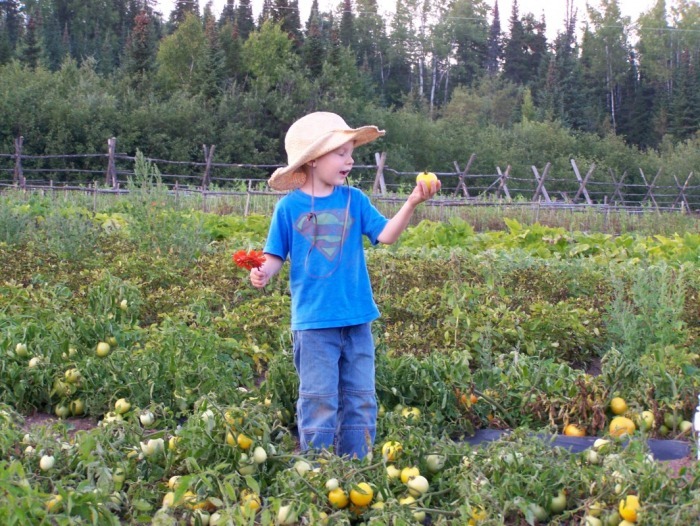 Community Supported Agriculture allows individuals and families to connect with fresh, locally-grown and naturally-raised vegetables and other farm products, while simultaneously supporting local farmers, sound environmental practices and viable economics. The essence of the relationship is mutual commitment: the farm feeds the people and the people support the farm. Through this process, the community shares in the inherent risks and potential bounty that local, sustainable agriculture offers. With CSA, members pay in advance for a "share" of the season's fresh produce. This up-front payment supports the farmer during the spring season when most farm expenses occur. In exchange, the "shareholder" knows exactly where their food is coming from, who is growing it, and how it is being grown. Working Farm Share = $340. our share options and prices. for a 2019 CSA Share! Starting in August and lasting a 10-week season, Chelsea Morning Farm CSA shares will be delivered to the Two Harbors Farmers Market for pick-up and to neighborhood clusters in the Duluth and North Shore areas in-between. Currently, through current CSA members, we host a Lakeside, Central Hillside, West Duluth and Superior drop site, with occasional home deliveries where shares fall in-between. If you are interested in a share, but do not fall within these areas, be in touch! Farm Shares, which cost $375, consist of fresh, organically-grown diversified vegetables raised at Chelsea Morning Farm, as well as blueberries from our farm partners. A Working Farm Share, which costs $340, is also available and is highly encouraged for those wishing to see and experience a day at the farm. It's the exact same share as the regular Farm Share but with a price reduction and a commitment from the member or member group (if splitting a share) to work one 5-hour shift at the farm. Sign-up for the Working Farm Share is essential for our harvest workload. Please consider signing up for this option if you feel you have some time to contribute. Your help is greatly appreciated! Additional shares options are available through our own diverse production and through the sustainable production of our farm partners. Shares include: pastured eggs, maple syrup, honey, Lake Superior herring (the occasional trout), pasture-raised beef, and wild rice. Details about each share option can be found on our CSA Share Options page. Shares are delivered in a handmade 3/4 bushel wooden crate and are sized for an approximate family of four to equal 2 adults and 2 children (this can vary from person to person based on personal vegetable eating preferences). The size of our crates is equivalent to an opened paper grocery sack laid on it's side. 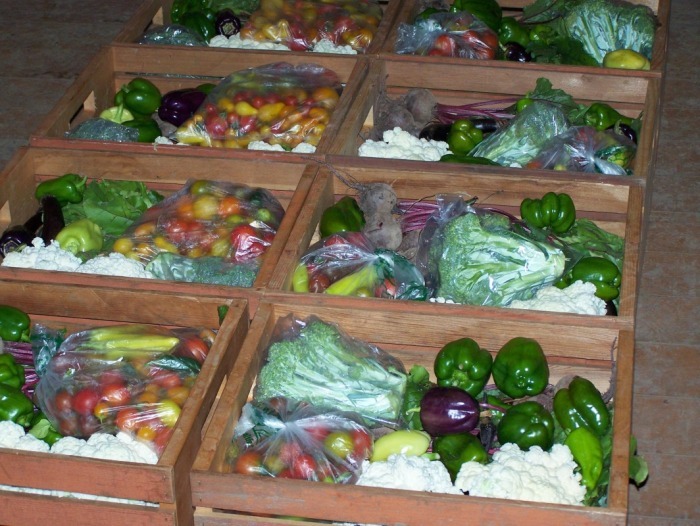 Many of our family members have found that the crate size is ideal for fulfilling their families vegetable needs. Individuals and couples who eat plentiful vegetables have enjoyed the bounty of the share alone (and have, at times, had produce to freeze for winter). And many individuals and couples have opted to split a share, splitting the produce and cost. When splitting a share, we encourage folks to find friends or neighbors to split shares with and leave the splitting details up to the members to arrange. Shares start off slim in the early weeks of July as the slower "spring" production begins to come into it's own. As summer takes hold, so do the crops! Within a few weeks, crates fill with a variety of crops from the harvest bounty. If a crop should fail due to weather, pests or other risk factors associated with farming, members share in that risk and simply don't receive that crop. Because our farm grows such a wide diversity of crops, even with potential crop failures, there should always be plenty of good, healthy food delivered each week! Members receive the Chelsea Morning Thymes Recipe Book to help prepare all the delicious food received each week. In addition, the Chelsea Morning Thymes Newsletter is emailed weekly with each crate, providing additional cooking tips, a list of the food you are receiving, information and education on sustainable farming practices, photos, wit, wisdom, and story describing the emotional farm journey we experience along the way!